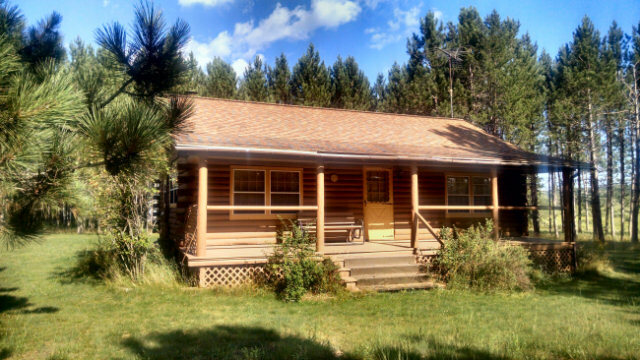 A darling 1+ bedroom log cabin located in the Hub of northwoods activity! Only about 2 miles from downtown Hayward, this approximately 1400 sq ft cabin features a large livingroom with a natural gas, free-standing fireplace, with a corner kitchen and breakfast bar. Down the hallway you will find one bedroom with newer laminate flooring, a full bath, and a side entry door. Above the bedroom/bath area is a sunny loft, perfect overflow sleeping for your agile guests, or use it for extra storage. 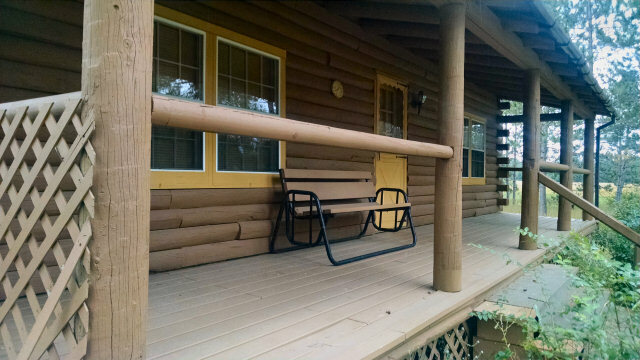 There is an old-fashioned covered front porch spanning the length of the cabin – a great place to relax and enjoy that morning cup of coffee on! The full basement is finished off and includes a spacious family room with a neat-looking crescent-shaped bar, and extra storage. The large utility room houses your sandpoint well, electric water heater and your laundry equipment. 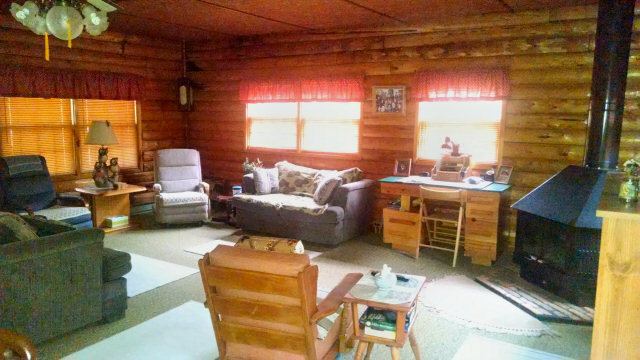 The same family has owned this cabin since it was built as a model log home around 1983, and they have enjoyed it tremendously as their vacation home. Fully-furnished with all you need, the sellers added many quaint, rustic touches throughout the years and you’ll find it ready to move in and enjoy! Contact me today for more information about this log cabin! 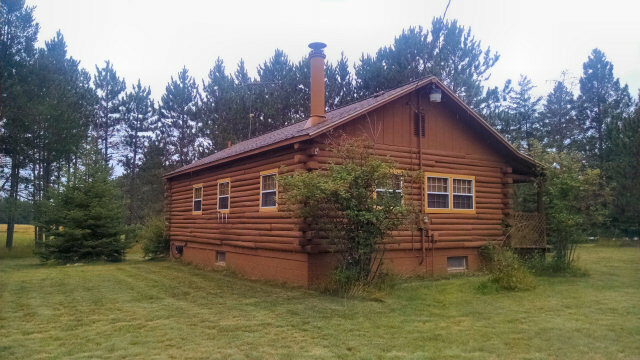 This entry was posted in Cabins For Sale Hayward, FEATURED PROPERTIES, wooded cabins and tagged 4-season cabin for sale hayward, area north realty inc, cathy lareau real estate agent, log cabin for sale hayward wi, rustic cabin for sale hayward wi. Bookmark the permalink.